Are you feeling unusually Tired? Are you still not losing any weight despite your low-carb, low-fat diet? 59 million Americans struggle with thyroid problems. 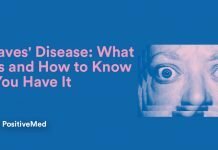 Undiagnosed thyroid problems can be the catalyst to several issues such as a higher risk of obesity, hair-loss, physical dysfunction, infertility, and heart problems. 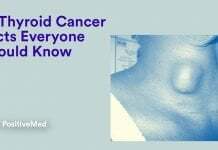 Related serious medical conditions include Hashimoto’s disease, Goiter, Grave’s disease, and Thyroid nodules. Not sure what the thyroid is? It’s a small, butterfly-shaped gland found in the bottom of the neck that controls hormones and regulates the metabolism. Too much or too little hormones can affect many bodily activities. So who are the culprits responsible? In 2013, a study was released and approved by the U.S. National Institutes of Health revealing that the industrial production of environmental toxins are related to the negative consequences of thyroid health. Polychlorinated biphenyls (PCBs) – Although banned from use in the 1970’s, it’s still found in our environment today. Soy – A genetically modified food (GMO), it’s found to inhibit the body’s use of iodine which the thyroid uses. Heavy Metals – Heavy metal toxicity is the forerunner of thyroid diseases. Perfluorooctanoic acid (PFOA) – A chemical found in food wrappers and Teflon. Halogens – Consumed through food, water, and medications, it inhibits the thyroid’s use of iodine. Pesticides – Studies warn that 60 percent of pesticides negatively affect the thyroid. It’s also related to the inability to lose weight. Flame Retardants and polybrominated diphenyl ethers (PBDEs) – Found in the manufacturing of televisions, furniture foam, carpet padding, and computer monitors. Dioxins – Damaging to the endocrine system that consists of the thyroid. Perchlorates – Found in our water and food supply, it inhibits thyroid hormone production. Triclosan – Added to antibacterial products, it interferes and negatively impacts the thyroid. Thinking perhaps this doesn’t apply to you? 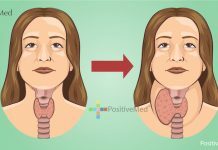 Your thyroid could be trying to tell you something with these symptoms: bowel problems, hair/skin changes, menstrual/infertility problems, weight issues, muscle/joint pains, neck discomfort/enlargement, fatigue, and depression/anxiety. It’s more common than you would think, and it’s especially important to consider the impact of these toxins in your life.